This is an uncommon display of natural fancy colored diamonds. 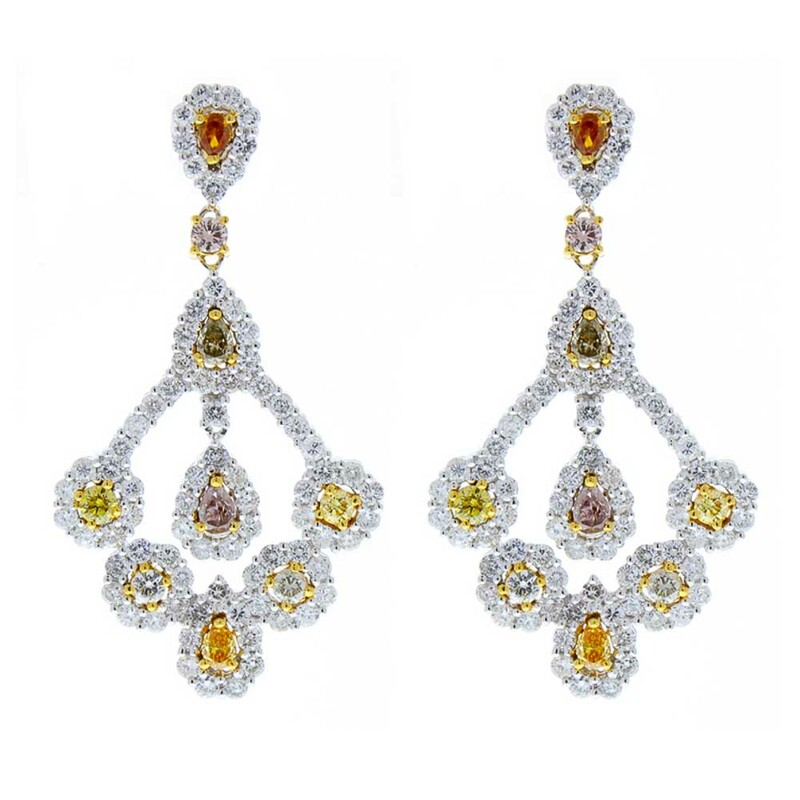 5.77 carats of mixed fancy cuts & round natural fancy yellow, green, orange, pink, and white diamonds adorn these dangle chandelier earrings set into sparkling drips and drops that will glitter on the ears when worn. Created in brightly polished 14 k white gold with rich yellow gold accented prongs that amplify the color of these diamonds, these earrings are for the woman who already has everything in white diamonds. Next, natural colored diamonds.